Sabbia Gallery will be once again hold its annual Glass Masters exhibition in January 2017. 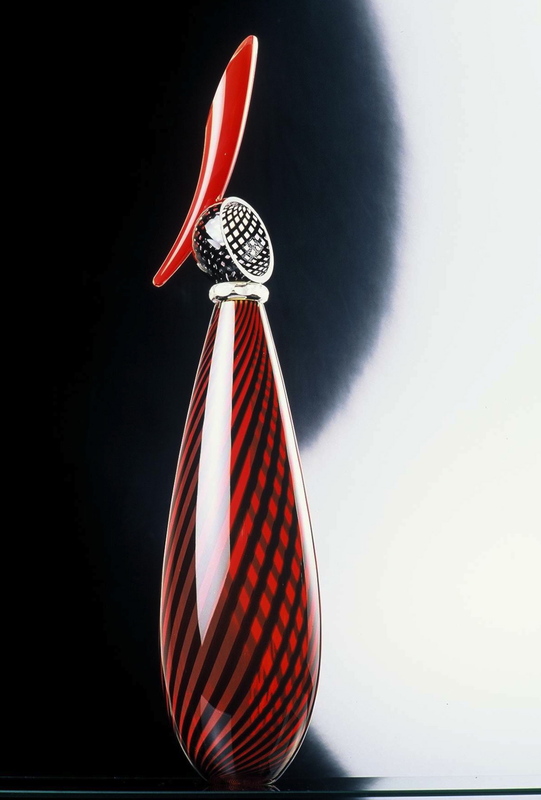 A selected group of some of Australia’s most influential glass artists will be invited to exhibit. The 2017 exhibition allows the artists the opportunity to look back at their practice and select a favourite artwork or series that they have created and readdress the work in a contemporary context. This is the second in the biennial series of the prestigious Adelaide Park Lands Art Prize. Until the first prize in 2014 there had never been a major art prize with Adelaide as its focus, nor a prize with the Park Lands as its theme. The prize is open to all artists, of all ages, from all countries, working in 2-dimensional and 3-dimensional art forms including photography. 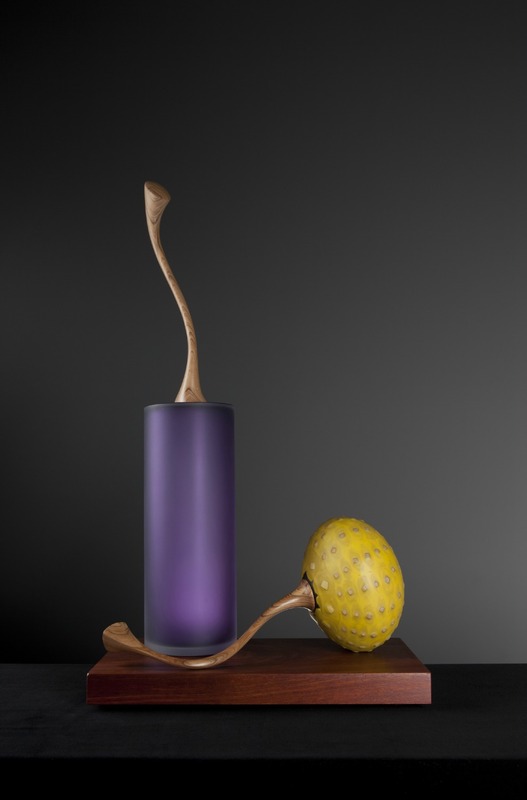 New works by glass Master Nick Mount. 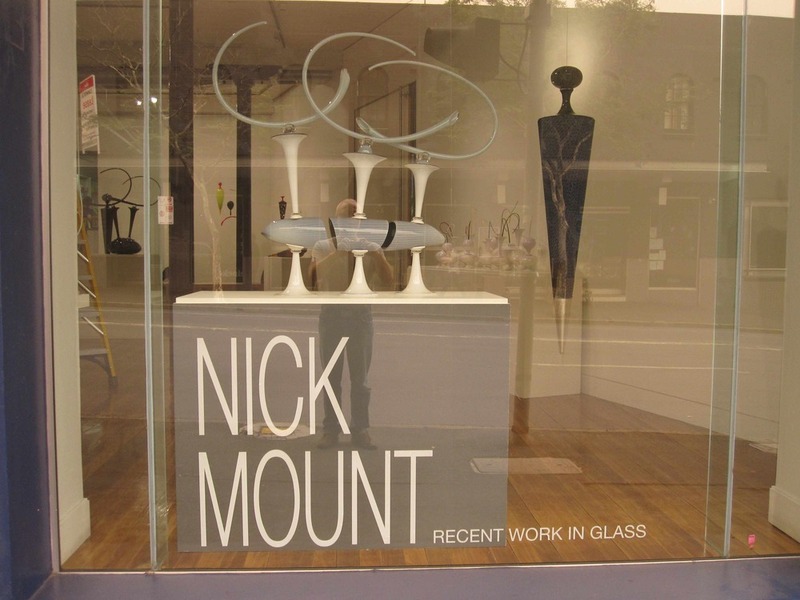 Sabbia Gallery is pleased to present this beautiful showing of new works by glass Master Nick Mount. Celebrating 45 years of Habatat Galleries in 2016! Join the Celebration during the opening weekend May 5th, 6th and 7th of 2016! Please join us for the opening reception on Wednesday, March 18, 6-8pm. On view through May 2, 2015. Nick Mount: The Fabric of Work is part of the Living Treasure: Masters of Australian Craft series, an initiative of Object: Australian Design Centre. The touring exhibition has only been made possible through a major funding grant from Arts SA. The exhibition will be open at the South Australian Museum from Saturday 26 July to Sunday 7 September 2014. JamFactory Icon Nick Mount: The Fabric of Work. 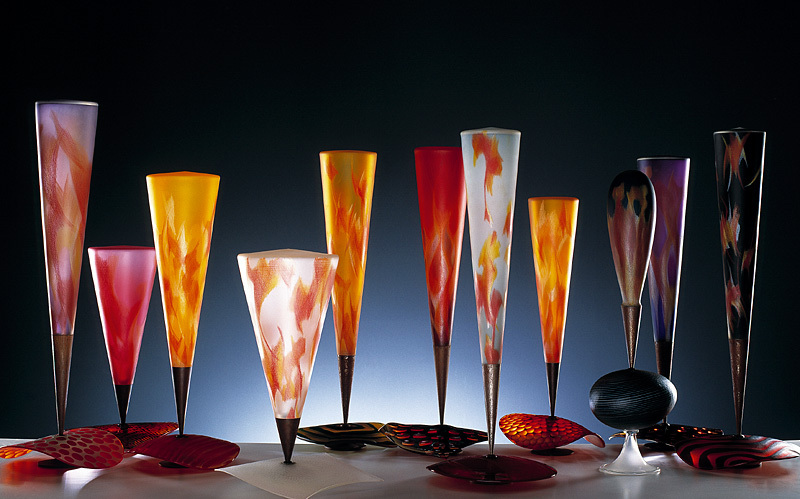 Living Treasures: Masters of Australian Craft, Touring Exhibition. Nick Mount: The Fabric of Work. 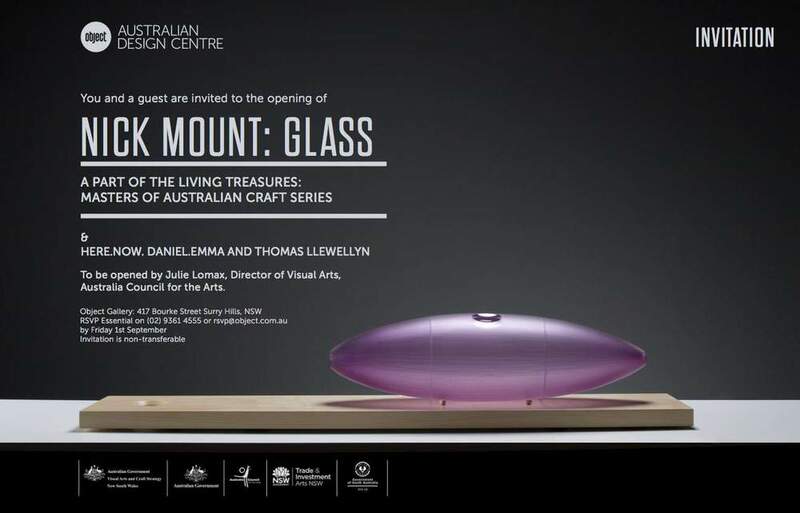 Living Treasures: Masters of Australian Craft, Touring Exhibition. In 2013 JamFactory celebrates 40 years of nurturing and promoting contemporary craft and design in Australia with the landmark exhibition Designing Craft/Crafting Design: 40 Years of JamFactory. 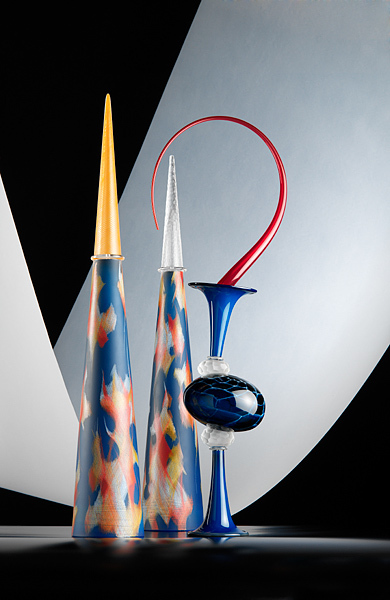 Links: Australian Glass and the Pacific Northwest, an exhibition featuring the work of 21 Australian and five American contemporary glass artists, opened on May 17, 2013 in the Museum’s North and Viola A. Chihuly Galleries and was on view through January 2014. 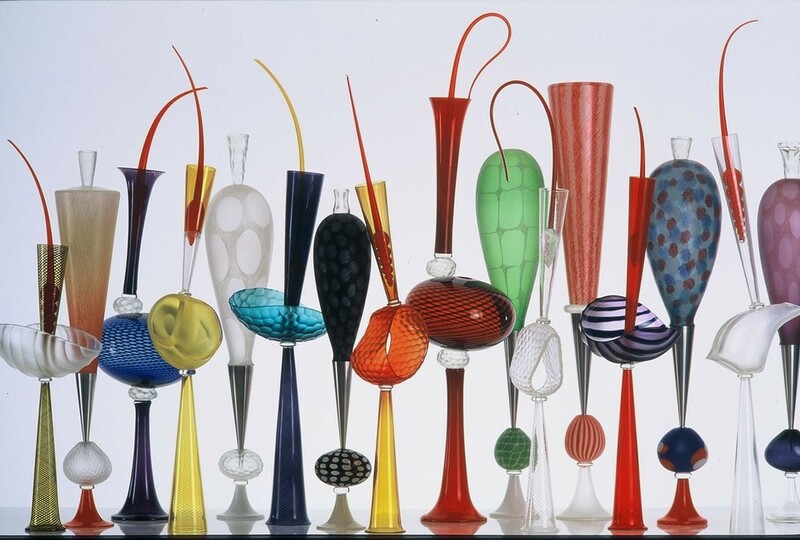 This was the first American museum exhibition dedicated to the wide spectrum of Australian studio glass and the connection between artists and institutions in Australia and the Pacific Northwest. The exhibition is now traveling. Richard Marquis, Nick Mount, Dante Marioni.